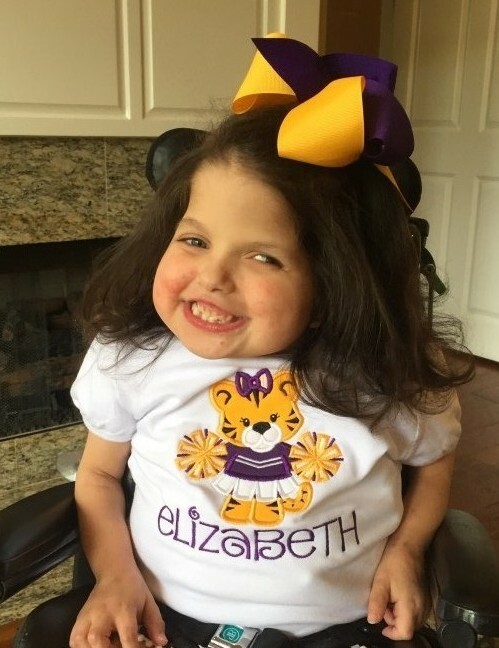 Elizabeth Claire Kern, age 9, a resident of Prairieville, Louisiana, passed away at home on February 8, 2019. Despite the endless medical challenges that she faced as a result of Joubert Syndrome, Elizabeth always had a smile on her face and touched the lives of many. She was happiest with a big bow in her hair, her favorite songs on the radio and playing with her toys. Elizabeth is survived by her parents Matthew and Susan Kern, brother Aiden Kern, paternal grandparents Andrew and Loren Kern, maternal grandfather Fred Pickens, aunts and uncles Gary Pickens, Tia Pickens, Phillip Kern, Amber Kern, Charles Kern, Frances Kern, Daniel Kern, Sydney Mitchell and cousins Nathan Pickens, Maggie Pickens, Mary Camille Kern, Margaret Grace Kern and Stella Kern. She is preceded in death by her maternal grandmother Trudy Davis Pickens. Visiting hours will take place at Resthaven Funeral Home on Jefferson Highway in Baton Rouge on February 16, 2019, from 10:00 a.m. until services at 1:00 p.m. Burial will follow at Resthaven Gardens of Memory. Pallbearers will be Gary Pickens, Phillip Kern, Charles Kern and Daniel Kern. In lieu of flowers please make donations to Our Lady of the Lake Children’s Hospital or Children’s Hospital New Orleans in Elizabeth’s name. Lizzie’s family wishes to extend our sincere thanks to all of her doctors, nurses, therapists, teachers, sitters, family friends and all of the wonderful people that cared for Lizzie along the way.